" typeof= Starting in 2012, the Mobile Information Center (MIC) will invite you to explore and study nature firsthand in the project area. You will get information on the current construction measures and ecologists will answer your questions about the Life+ project. 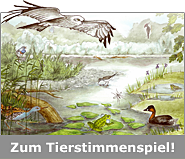 The MIC will be located in a redesigned construction trailer and has been financed by the Foundation “Naturschutzfonds” to our project. When and where can you visit the MIC? Please check the page "Home" for actual information. Building-site and information office: Selected measures and events are accompanied by the MIC directly on site. The MIC serves as a contact point and meeting location. Experts are available here for discussions with interested visitors and residents. Information material about the project and the respective measures will be available, but first and foremost personal conversation will be possible, and experts will answer specific questions of the residents. Meetings with participants or – in the context of the ecological supervision of the construction works - with the constructors are part of the range of tasks. Following the construction phase the achievements of implementation will be illustrated by the MIC. Within the MIC you can experience nature in this sensitive area without disturbing animals. Using modern technology you will be able to observe the activities in a bird´s nest directly on a screen in the MIC. The pictures are taken with a small camera without affecting the birds. The support stuff of the MIC on site will ensure that existing regulations for the protected area are complied with. The bird-hatching images recorded with the camera can be evaluated e.g. by school-classes in their lessons. The measure MIC has a particular importance since the project area is situated in an intensively used local recreation area. Many people visit the area for leisure activities such as jogging, cycling, fishing, sun bathing or walking the dog.